The Planning section gives details on how to make an application as well as lists of current and archived applications. 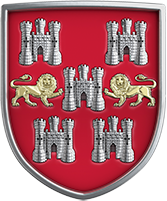 If you have submitted an application to the planning service via the Planning Portal, planning@winchester.gov.uk or by paper you will have received an email acknowledgement confirmation of receipt. The Council has developed a new framework for dealing with all types of planning applications, and the good news is that your application will be processed adopting this new framework. This has though resulted in some initial delays, whilst we fully integrate the new framework. Please be assured that an officer from the planning team will make contact with you as soon as possible to progress your application. The good news is that the average time to deal with the majority of all planning applications is between 7 and 9 weeks and the case officer will also work with you. There is no need to contact us if you have submitted your application to us as we will be in touch as soon as we are able to, to ensure we can progress your application.